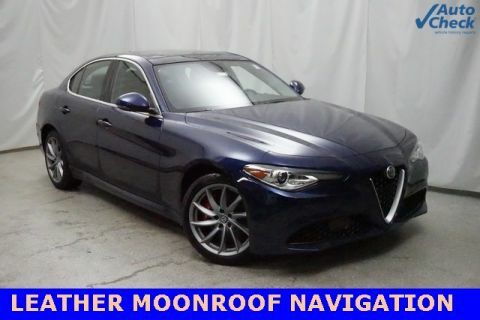 2018 Alfa Romeo Giulia Monza Red Metallic AWD 8-Speed Automatic I4 * POWER PANORAMIC MOONROOF *, 8.8 FACTORY NAVIGATION *, ONE OWNER *, LEATHER SEATS *, NON SMOKER *, POWER WINDOWS * POWER LOCKS * CRUISE CONTROL *, AUDIO JACK FOR MOBILE DEVISES *, 40GB HARD DRIVE W/28 GB AVAILABLE *, REMOTE STARTER *, STEERING WHEEL MOUNTED AUDIO CONTROLS *, TILT AND TELESCOPIC STEERING WHEEL *, PRE CERTIFIED *, POWER TRUNK *, UCONNECT VOICE COMMAND W/BLUETOOTH, BLUETOOTH *, KEYLESS ENTRY *, FOG LIGHTS, HEATED STEERING WHEEL *, TRAILER TOW PACKAGE *, ALLOY WHEELS *, KEYLESS GO *, SIRIUS XM, ALL SPEED TRACTION CONTROL *. At Zeigler Schaumburg CDJ, Home of the BEST PRICE GUARANTEE, we take pride in treating our customers like family, ensuring that your experience is one that you will never forget. Every vehicle has been through a 125 point safety inspection completed by a certified technician and fully detailed. Take advantage of our VIP internet experience by contacting us at 847-882-8400 to schedule a test drive. We are proud to service customers in Schaumburg, Arlington Heights, Palatine, Elgin, Barrington, Chicago, &amp; anywhere in the Great state of Illinois, saving you time &amp; money on any New or Pre-owned vehicle! See dealer for complete details, dealer is not responsible for pricing errors, all prices, plus tax, title, plate, and doc fees. Serving Illinois and all of our surrounding cities like Schaumburg, Arlington Heights, Palatine, Elgin, Barrington, &amp; Chicago. Some of our used vehicles may be subject to unrepaired safety recalls. Check for a vehicle&#39;s unrepaired recalls by VIN at http://vinrcl.safercar.gov/vin/. Zeigler CDJ-"FOR A GREAT EXPERIENCE". 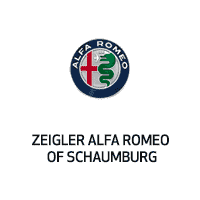 At Zeigler Schaumburg CDJ, Home of the BEST PRICE GUARANTEE, we take pride in treating our customers like family, ensuring that your experience is one that you will never forget. Every vehicle has been through a 125 point safety inspection completed by a certified technician and fully detailed. Take advantage of our VIP internet experience by contacting us at 847-882-8400 to schedule a test drive. We are proud to service customers in Schaumburg, Arlington Heights, Palatine, Elgin, Barrington, Chicago, &amp;amp; anywhere in the Great state of Illinois, saving you time &amp;amp; money on any New or Pre-owned vehicle! See dealer for complete details, dealer is not responsible for pricing errors, all prices, plus tax, title, plate, and doc fees. Serving Illinois and all of our surrounding cities like Schaumburg, Arlington Heights, Palatine, Elgin, Barrington, &amp;amp; Chicago. Some of our used vehicles may be subject to unrepaired safety recalls. Check for a vehicle&amp;#39;s unrepaired recalls by VIN at http://vinrcl.safercar.gov/vin/. Zeigler CDJ-"FOR A GREAT EXPERIENCE".